TRUE CONFESSIONS—-false confusions. A real letdown from 1981, taking the powerhouse teaming of two mesmerizing actors, backing them with peerless seconds, a provocative plot set in an era ripe for recreation and then piddling it all away so completely that it ought to have qualified for a rebate from United Artists just for seeing it through 108 minutes. 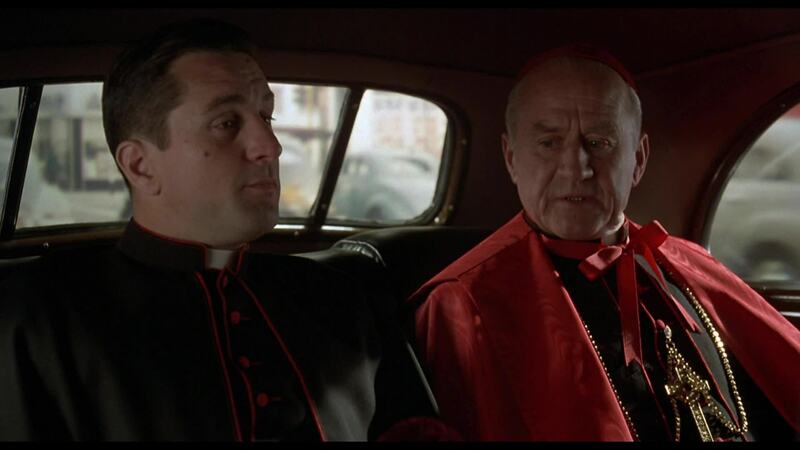 Robert De Niro plays an ambitious monsignor, bat-weaving his way through the maze of the Catholic hierarchy of late 40s Los Angeles. 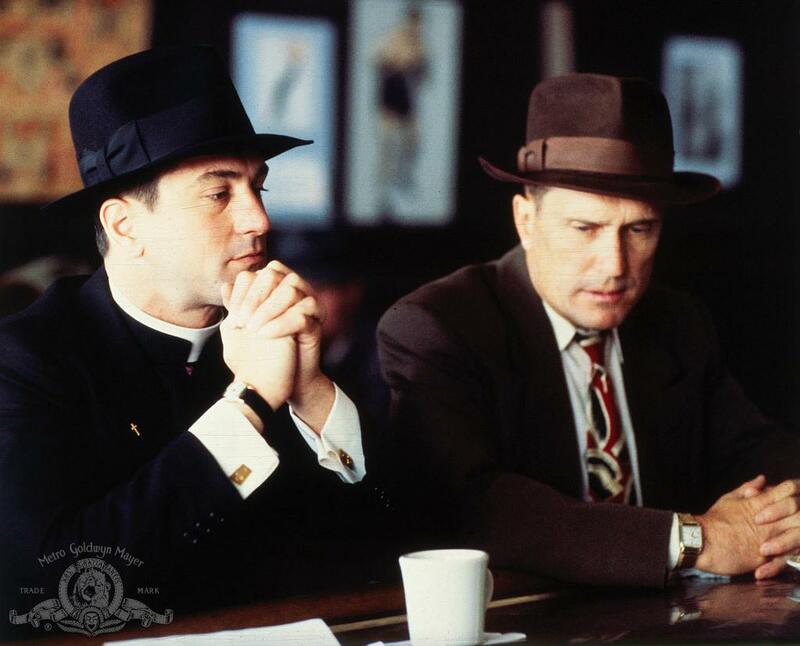 His brother, Robert Duvall, is a cop, and both of them have sold out when required to local corporate bigwigs. A murder case linked to their respective arm-benders brings about a confrontation with warped ethics and disposable honor. Alas, the pace set by director Ulu Grosbard is so glue-like that any chance at searing drama gets entombed before it can mature. The script is all hollow hot air, profane without punch, and the motivations and ghosts that propel and shadow the brothers are only slightly less murky than the camerawork, which is so muted/grimy that everything in the film has the visual tone of a week-old fudgesicle. The two stars are good, and for many just watching them will suffice. It’s regrettable that nothing coming out of their mouths is gripping, exciting, funny or pertinent. With Charles Durning, Ed Flanders, Burgess Meredith, Rose Gregorio, Cyril Cussack, Kenneth McMillan and Jeanette Nolan.